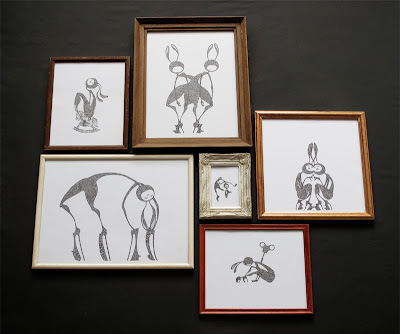 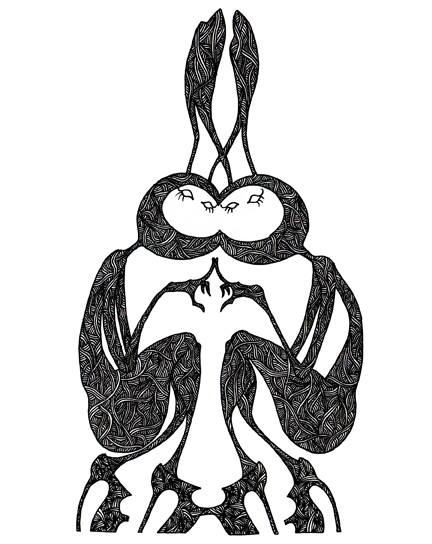 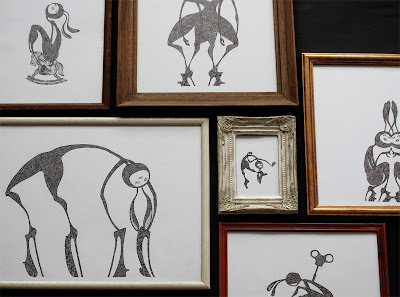 For the presentation of my illustrations, I've been collecting old secondhand frames for a while now. 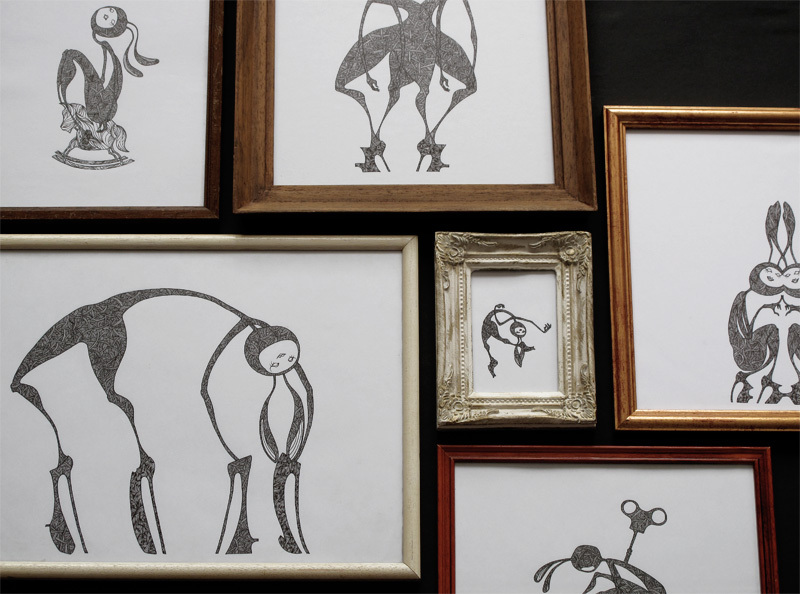 Managed to frame in six drawings but need loads and loads more. 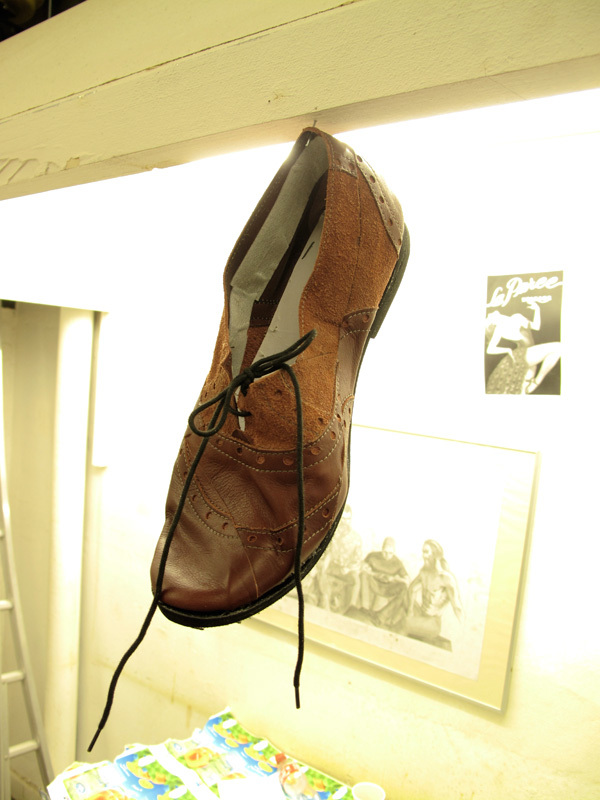 Second Sample (Deconstructed Brogue) ! First Sample (Deconstructed Brogue) ! 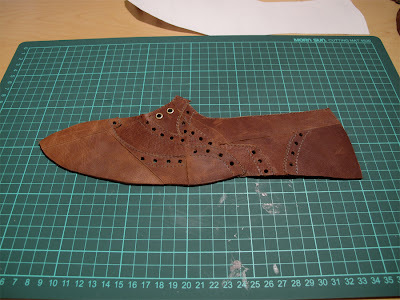 Recently, I've mainly been focused on finding a solution to realising my deconstructed shoe. So after some experimenting, I finally found a way to do this (see the results below). 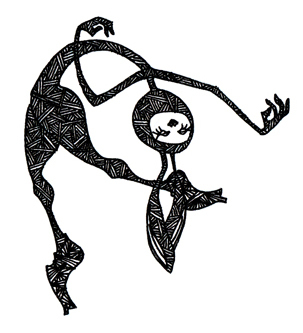 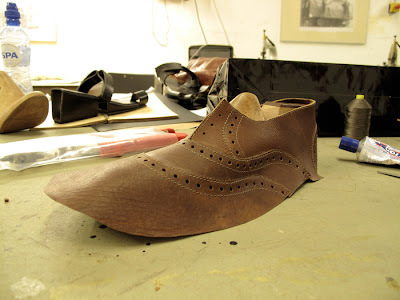 What makes this method so good is that it can hold the pieces very tight and close together, which wasn't possible with the previous ideas I had. 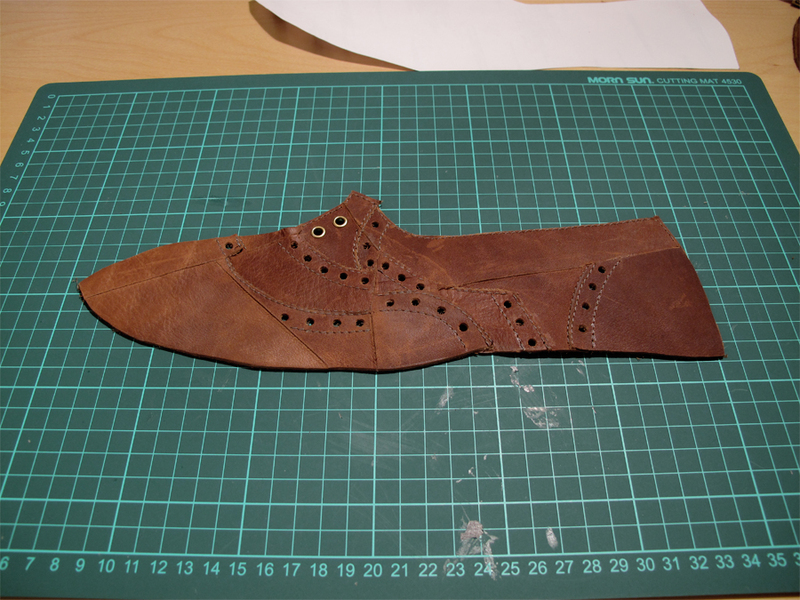 As you can see, I've only made a half shoe to save up time, so my next step is to use the same process for a whole shoe. So I picked up the project I've been working on and tried to improve it execution wise. 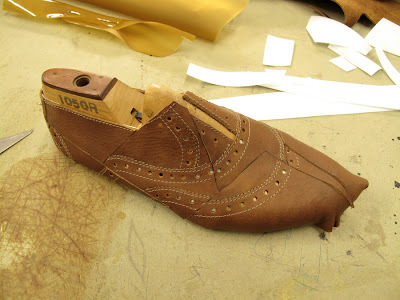 To give you a short summary: I deconstructed a Brogue and put it back together again, but I left pieces out to create a new image of that same shoe.﻿﻿﻿ The first image below was my first attempt by glueing the pieces back together. 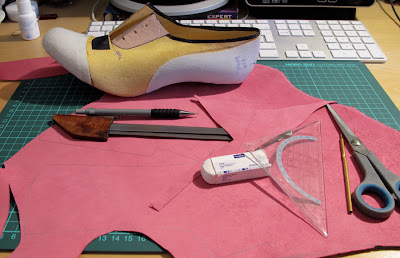 After that, I tried to mimic the deconstructed pieces by building the entire pattern up in a way that I could still stitch it back together while it looked like it had been cut out. 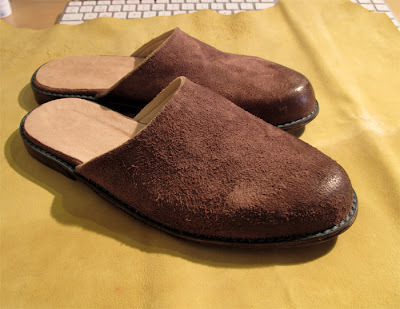 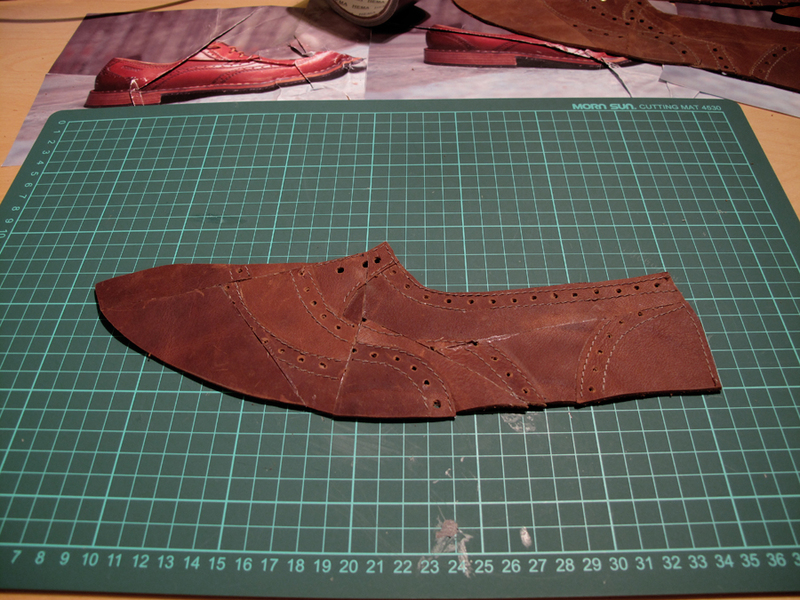 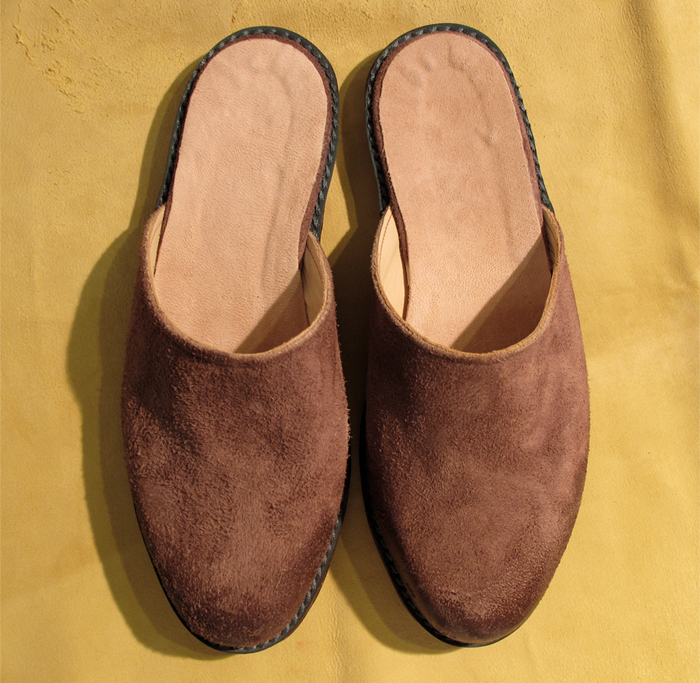 Meanwhile school has started again and I also have been going back to the shoemaking course. 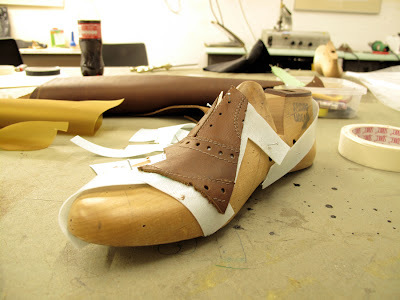 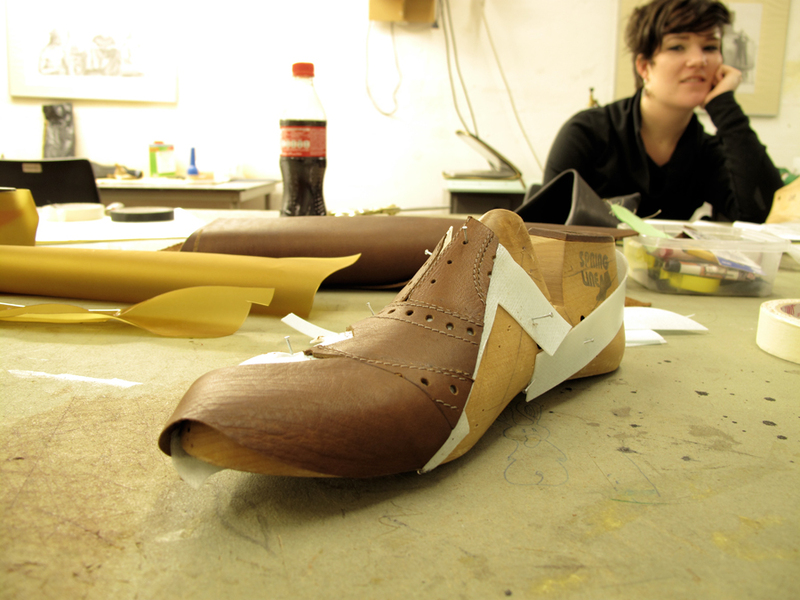 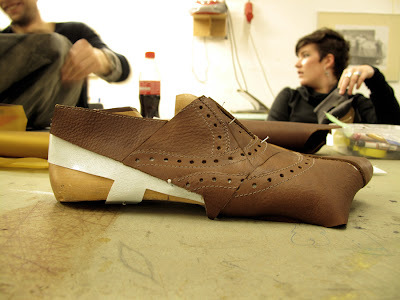 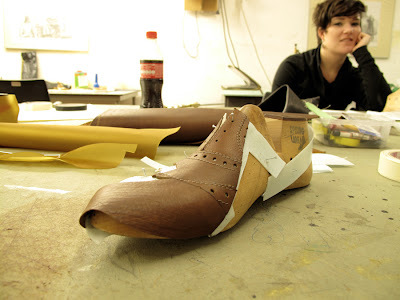 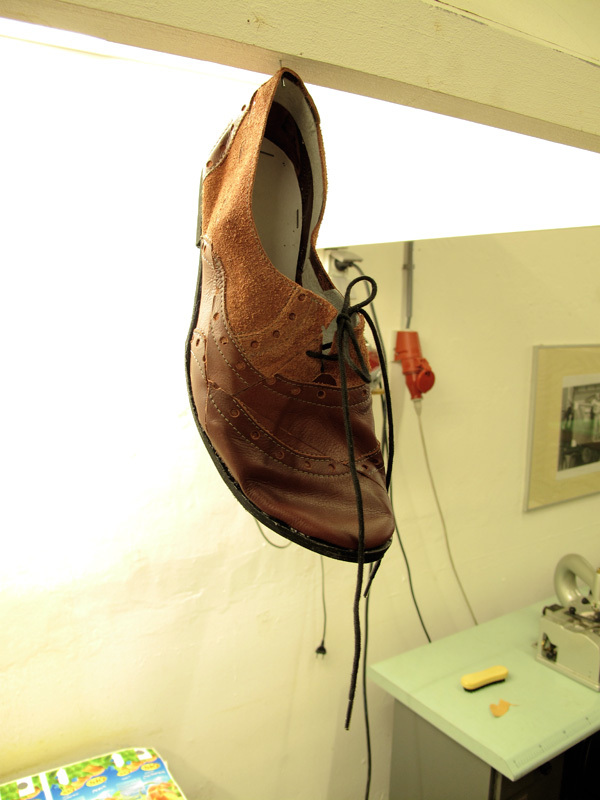 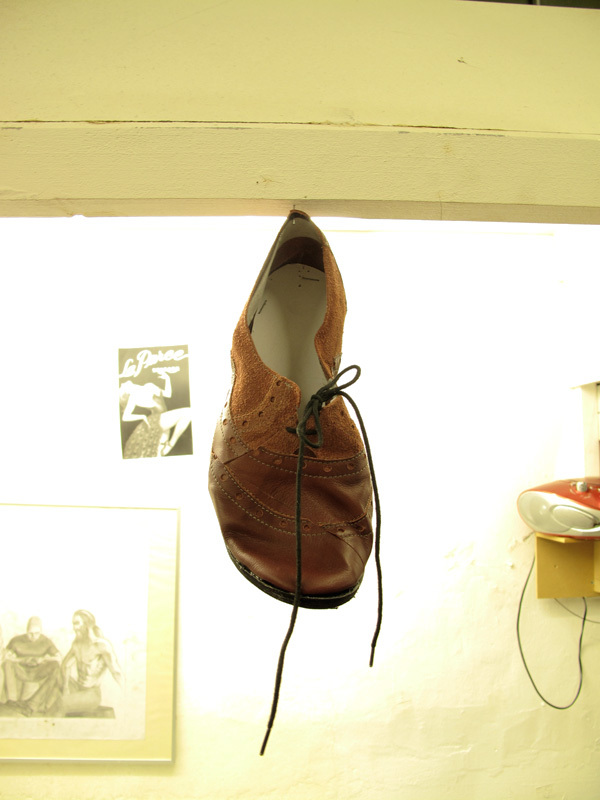 That's where I get hands-on experience in making shoes, the traditional way. 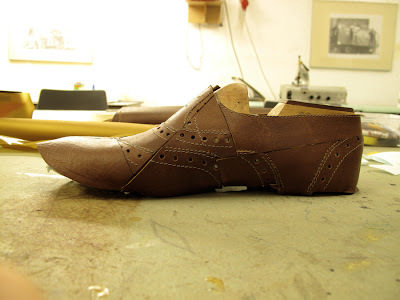 The first shoe we were taught to make was a mule; see pictures below. Now we're working on a female pump and then followed by a Derby. ©2019 mistercheng |All Rights Reserved.